All the Best Local Couriers. You'll Always Get the Right One. 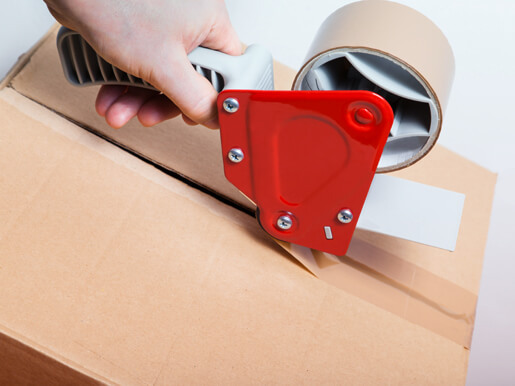 You’ll find that we’re stocked full of tough packing materials and boxes. This means we can safely transport any item that you might need us to: retail freight, laptops, mobile phones – you name it. Find the courier in Robina that’ll take your item to where you need it to go for the best value for money. We work with a trusted range of both local and international carriers. Need fast delivery? Easy. One of the things we take into consideration when selecting the right shipper for you is timeframe. Need us to get your package there the next day? That’s no problem with many destinations. Don’t have the time or the materials to wrap your package yourself? Just drop it off in your local centre. We’ll take care of this important part of the mailing process for you. if you need a courier service from Robina to Brisbane or Sydney, do not hesitate to call us. Send a single item. Documents. Flyers. Or an entire pile of merchandise. Here you’ll find the couriers Robina residents and businesses can count on for the safe delivery of any item. You can get overnight shipping to may global destinations. Simply tell us where you need your package to get to. We’ll make it happen. It’s simple. You don’t need to. We work with all of the best local courier services. So we always know which is the one that’s going to give you the best deal on the delivery you need. Dispatch your latest advertising campaign. Send heavy or awkward packages. Transfer technology that regular carriers don’t send. We transport it all. There’s no limitation on locations we can get your parcel or document sent to. And we can even provide next-day delivery to many destinations! How do you know when your package has arrived? Easy. You’ll be hooked up to our online monitoring system. This is your complete mailing solution for stuffing envelopes with marketing materials and so on. Just send us your mailing list! Many of our clients use us to print their advertising materials before they send them. To print off documents before they’re sent. Or to arrange after hours photocopying services. Why? Because they’re all here. Conveniently under one roof.